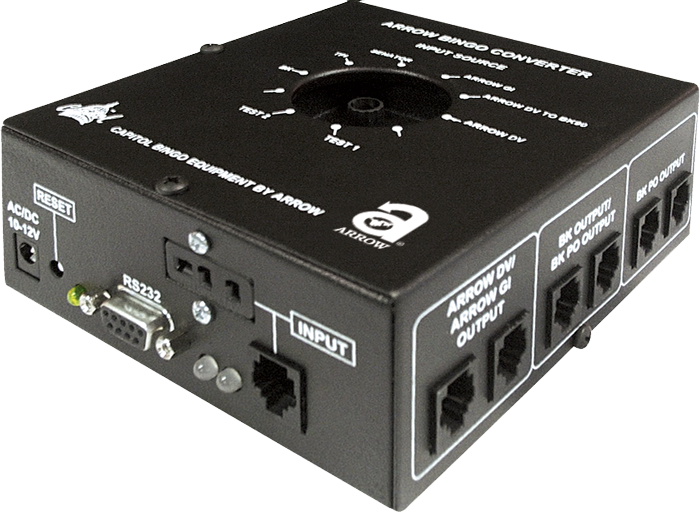 The Bingo Data Converter is a state-of-the-art systems conversion and testing tool. 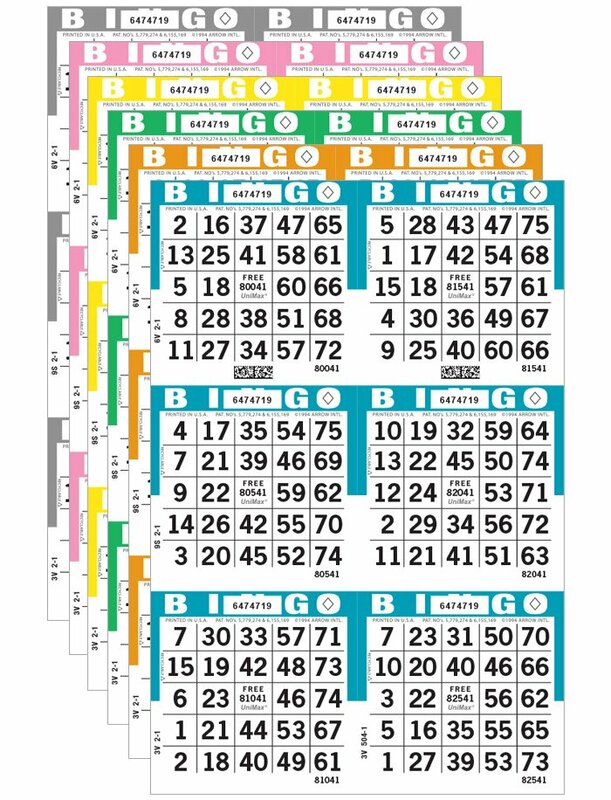 The Data Converter allows non-compatible bingo systems to work with each other. 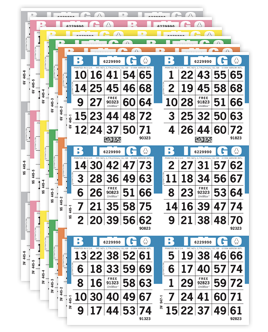 Most bingo systems can be upgraded, or simply added to, without changing any existing flashboards. 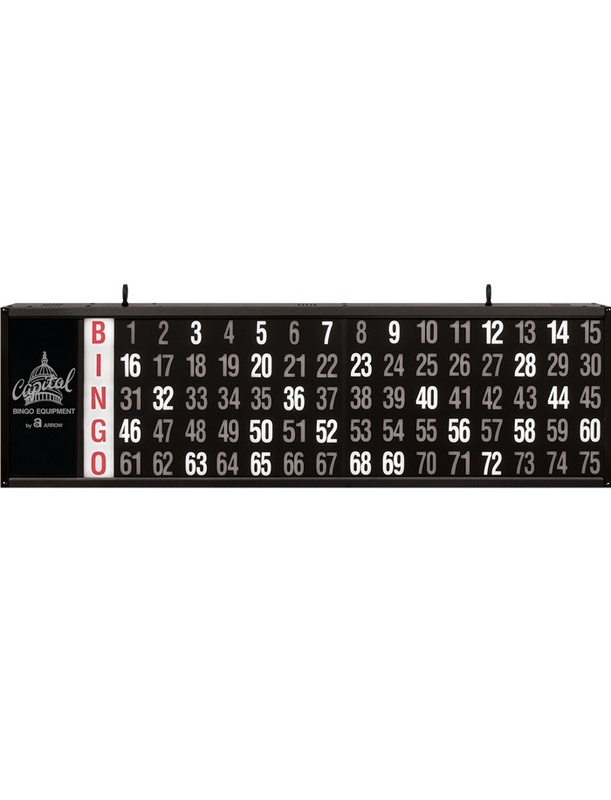 For use with Arrow's Game Indicator and Dollar Value flashboards, the Flashboard Adapter converts one bingo console input signal into four separate amplified output signals. 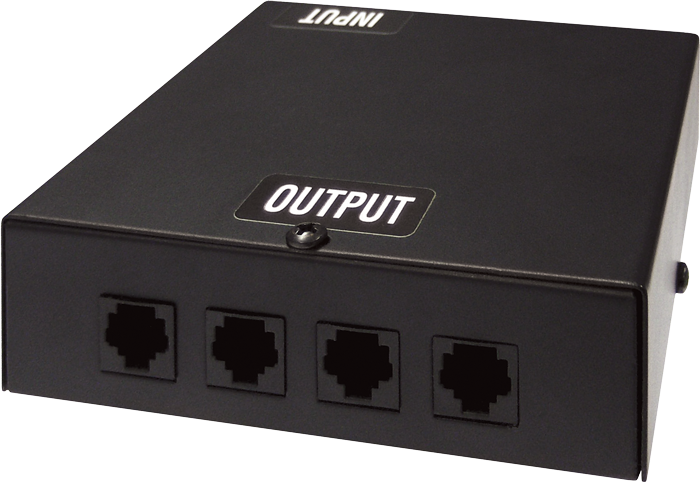 If one flashboard output were to fail, the other flashboard outputs will remain operational. 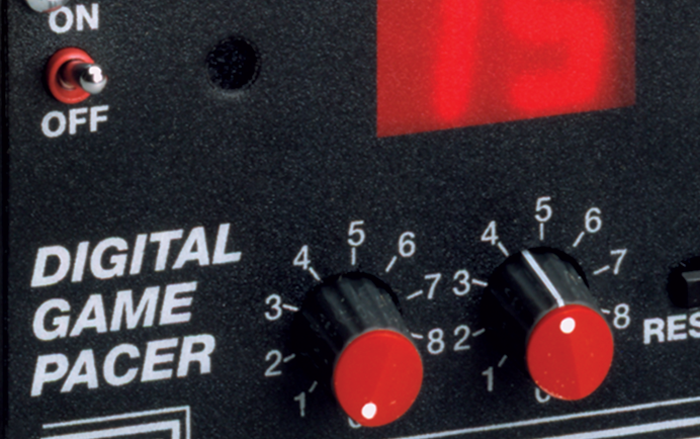 The Digital Game Pacer offers the perfect solution for calling your bingo game at just the right speed. 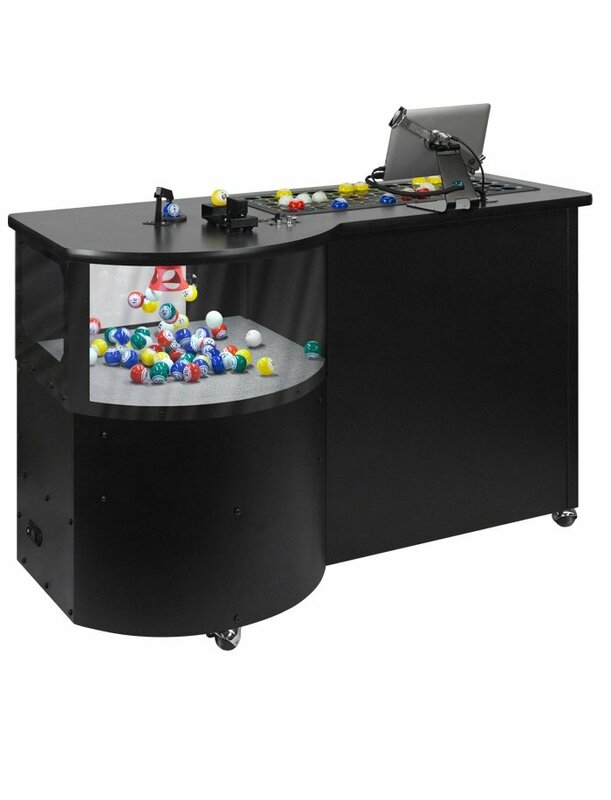 The unit features a large countdown LED display, a 1-99 second adjustable timer, and an audible "beep" to pace your game. This device is powered by a 120-volt pack. 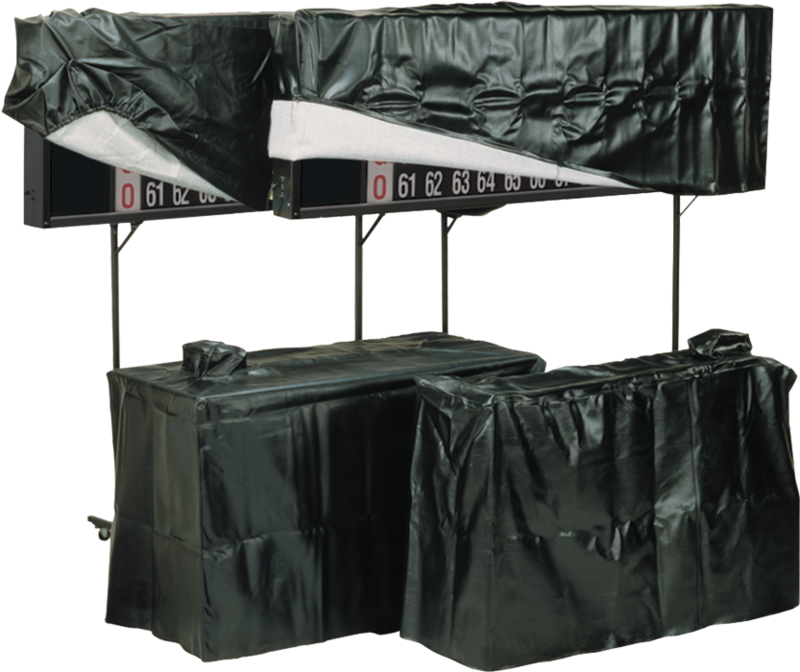 Add years of life to your equipment with the durable, water-resistant protection of our custom designed Naugahyde covers.